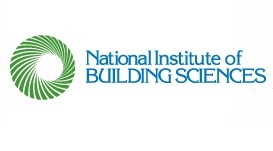 Washington DC – (RealEstateRama) — The National Institute of Building Sciences National Council on Building Codes and Standards (NCBCS) issued a new white paper, Benefits and Challenges of a Timely Code Adoption Cycle. Many jurisdictions in the United States have put building codes and standards in place to protect their citizens. The U.S. Constitution delegates the authority to adopt and enforce building codes to state and local governments. Traditionally, the release of updated codes under the model code development process would trigger code adoption procedures at the state or local level, resulting in states and local jurisdictions adopting an updated code about every three years. In recent years, a number of states have sought to increase the time between code updates. The primary purpose of codes and standards is to protect the health, safety and welfare of building occupants, while making communities more resilient and energy and water efficient. There are benefits and challenges to adopting codes at regular intervals that coincide with the update of the model codes. In this white paper, the NCBCS provides a brief overview of the adoption cycle process and highlights both the concerns and the benefits of adopting current codes and standards. It is important that jurisdictions consider all of these factors when making a decision to change the structure of their current code adoption process and use a balanced approach that considers the costs, benefits and long-term safety of their citizens, properties and communities. View the white paper, Benefits and Challenges of a Timely Code Adoption Cycle.